Cabo San Lucas is one of the world’s top vacation destination thanks to the virtually unlimited options of things to do, things to explore, and places to wind down and relax! Every year, tens of thousands of visitors from all over the globe descend on this small city at the tip of the Baja Peninsula to make the most out of their vacation. 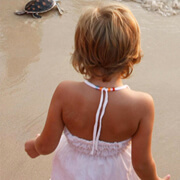 Whether it is relaxing poolside at your resort, or exploring the beautiful natural landscapes of the peninsula, or heading out to the Bay of California and the Sea of Cortez on a sailboat, Cabo San Lucas has no shortage of ways to do fun, exciting, new, or relaxing things! Downtown Cabo is also renowned for its excellent world-class restaurant options. 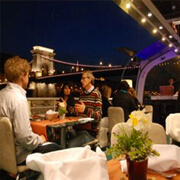 Also in downtown you will find all kinds of bar settings, from quaint dive bars to upscale cocktail bars. 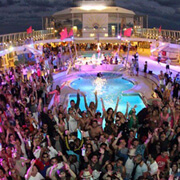 You will also find several dance clubs blasting everything from Latin favorites to top 40 to reggae. 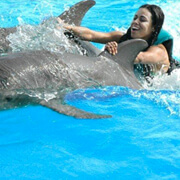 As you can see on our Cabo San Lucas Things to Do page, we at Best On Cabo offer the widest selection of things to do in Cabo San Lucas! After you have gotten your fair share of relaxation at your hotel, or resort, or beachfront property, we suggest getting out there and exploring the rest of what this amazing Baja town has to offer! 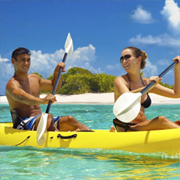 We suggest starting with some of the water activities, and with these alone you have countless options! 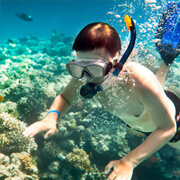 One of our personal favorite water activities is snorkeling. The waters of Cabo are filled with fascinating marine life, and our Cabo snorkeling and Cabo scuba diving tours bring you face to face with this marine life. 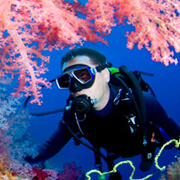 Even if you have never been snorkeling or scuba diving before, we work with some of the most expert and professional crew around who will teach you how to do these unforgettable activities. 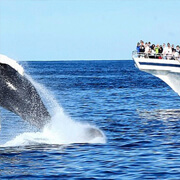 Other great and classic Cabo San Lucas activities include sailing, fishing, sunset cruises, dinner cruises, and whale watching. Each of these is unique in Cabo San Lucas, thanks to the city’s proximity to two different bodies of water. 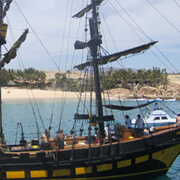 Sailing especially has made Cabo San Lucas a top destination. Our Cabo sailing charters give you private and shared charter options, allowing you to experience the power of sailing in these waters. 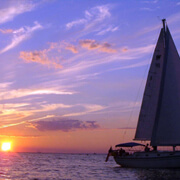 Sailing can be done as a simple day trip out to sea, or you can combine it with snorkeling, beaching, sunset watching, scuba diving, and whale watching. If you only have time for one water activity while you are in Cabo, we highly encourage you to have a Cabo sailing charter as one of your top options. 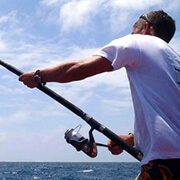 Fishing is another activity that has made Cabo San Lucas a world-class destination. The waters off the coast of Cabo are deep and full of all the top species for sport fishing. 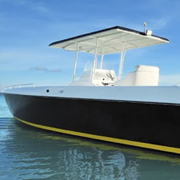 Cabo is consistently ranked as one of the best destinations for offshore fishing. 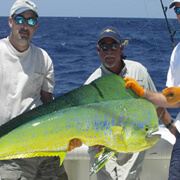 And once you are riding out to sea on one of our fishing charters, you will understand why. 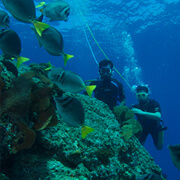 Fishing in Cabo offers excellent opportunities for successful catches at any time of the year. While certain species are more in season during specific times of the year, there is always some to catch! From Yellowfin Tuna to Swordfish, Shark to Snapper, Sailfish to Wahoo, and of course everyone’s favorite, the Marlin, you and your group will soon be reeling in that prize catch! In the winter months, usually starting around the middle of December, thousands of whales migrate to the waters off the coast of Cabo for the season. The waters of Cabo are much warmer than the whales’ usual home, so these majestic and awe-inspiring sea mammals make Cabo their temporary home for the winter. 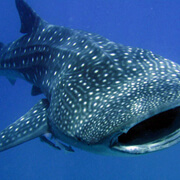 Our Cabo San Lucas whale watching tours take you out to the Pacific Ocean to see these beautiful animals right up close. There are a wide selection of whale watching tours including snorkeling combo packages, sunset combo packages, and lunch and dinner packages. But you do not have to get out on the water to enjoy fun activities! 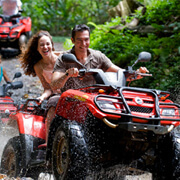 We offer a great selection of land activities including Cabo sightseeing tour packages that showcase the quaint, rural villages on the outskirts of Cabo. 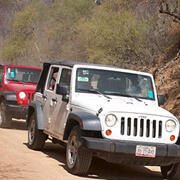 Or you can get in touch with nature and explore the beautiful, rugged, and pristine back roads of Cabo on one of our Cabo offroad adventures. 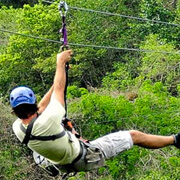 Or you can get the sensation of flying through the air on our high-speed Cabo zipline tours! 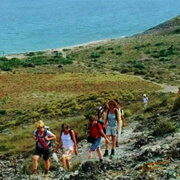 Like I said, you have lots and lots of options for tours and activities in Cabo, and we are here help you find the best one for you and your group! Cabo San Lucas has every type of possible accommodation imaginable, from large all-inclusive hotels to quaint five-room bed and breakfasts. 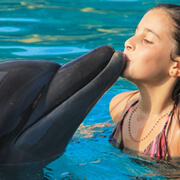 Before coming to Cabo San Lucas, it is a good idea to try to decide what kind of accommodation do you want to stay in. Each type has its own perks. 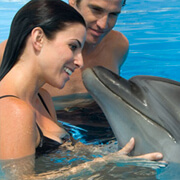 Do you want to stay in a large hotel with a large pool, access to a beach, and meals included with your stay? Or would you rather stay closer to the Downtown area, where most of the action happens including bars, clubs, restaurants, and activities. Downtown does not usually have the large beach-front resorts, but there are still plenty of great choices including quaint bed and breakfasts and five star resorts right on the marina. 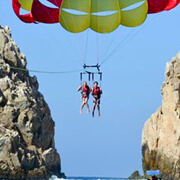 Also, keep in mind that there are three main areas to stay during your visit to Los Cabos. 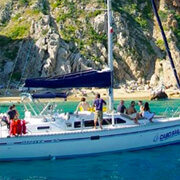 There is Cabo San Lucas proper, close to downtown and the marina. Then there is the Golden Corridor which is along the bay coast as you head north away from Cabo San Lucas. At the opposite end of the hotel zone is San Jose del Cabo, a smaller, quieter, and more rustic city than Cabo San Lucas. 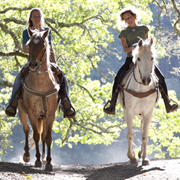 Guests staying up in San Jose might benefit from renting a car if you are interested in exploring more of the Peninsula. Those staying in the Corridor or near Downtown can usually take taxis or shuttles to explore the area. 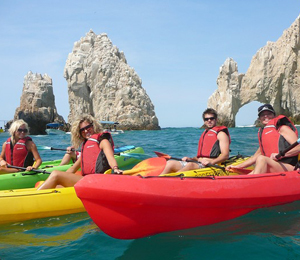 A fantastic half-day trip that features snorkeling and kayaking in one of the world's most beautiful natural beaches at the very end of Los Cabos. 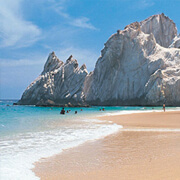 Trip takes you to Land's End where you will find the famous Cabo Arches and the pristine Lover's Beach. The Outfitters Cabo Escape Sunset Fajita Cruise was one of the best things about our trip to Cabo San Lucas. My wife and Kids had a blast. Need help booking your tour? Our professional and local staff is here to help. Contact a Best On Cabo representative by calling 888-557-3330 or click the live chat button at the bottom.